There are 5 Widget Areas on the front page. The footer widgets appear on every page; you can learn how to customize them by going here. 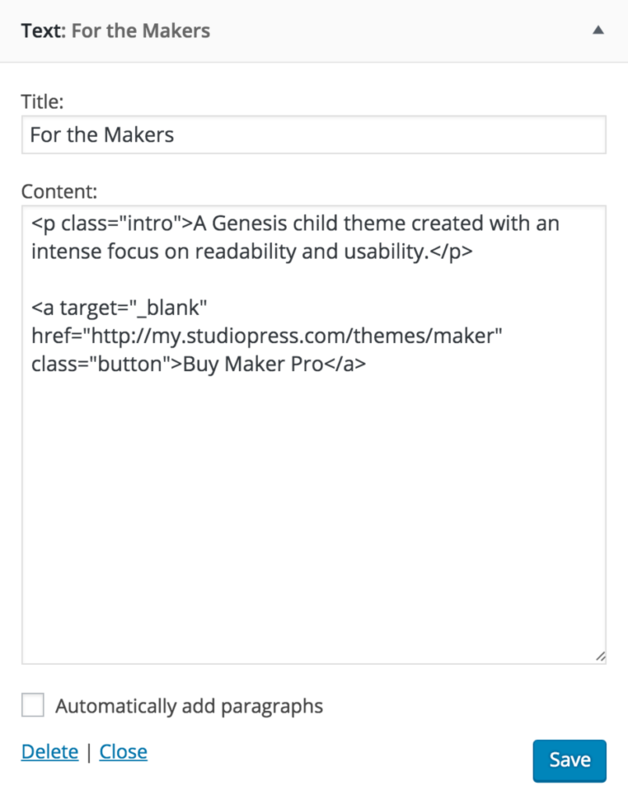 The Front Page 1 widget area in the Maker Pro theme demo uses one Text widget to display text and a button. Here is a screenshot of the text widget and how it’s setup in the demo.